A financial report cited by South Korea’s Yonhap News says that Samsung’s higher-end smartphones are accounting for a rapidly decreasing share of the company’s sales. Premium smartphones account for just 29% of Samsung’s smartphone sales, down from 75% in mid-2013, Yonhap quotes a Hana Financial Investment report as saying. The disastrous battery problems experienced by the Samsung Galaxy Note 7 undoubtedly have a lot to do with the company’s shrinking premium device sales, but the report indicates that those sales were already in decline before the Note 7 incidents began to attract widespread negative publicity. + ALSO ON NETWORK WORLD: Virtual beacons challenge Wi-Fi for in-building, location-based supremacy + FAQ: What is 802.11ay wireless technology? The news comes just ahead of Samsung’s launch of a new Android flagship, the Galaxy S8, tomorrow at an event in New York. Mobile pundits like Android Authority say that it underlines the importance of a strong critical reception for the S8, which might help push the company’s premium sales figures closer to where they’ve been in the past. But it’s unclear whether even a large amount of positive press can win back consumer trust for Samsung, particularly in the wake of the company’s involvement in a giant political scandal in South Korea, which has seen the president of the company questioned over allegations that Samsung bribed a close friend of the country’s president, Park Geun-hye. South Korean prosecutors are reportedly seeking an indictment of the embattled Park, whose impeachment was finalized earlier this month by the Constitutional Court. 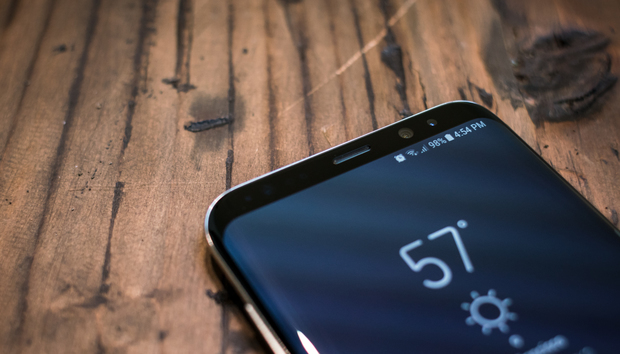 The Galaxy S8 is expected to make improvements in energy efficiency, performance and storage options, along with a rear-mounted thumbprint scanner and a new virtual assistant technology called Bixby, to compete with rivals like Alexa and Siri.